I'm a woman in her mid-30s who was diagnosed with SLE in 1997. In 2004, I started HD. I've now been a HD patient for more than five years! Whew! how time flies! Now, how was it discovered I had SLE? Allow me to explain. I had just graduated at that time, I applied for a job in a big company and there was a compulsory health screening. During the urine test, it was discovered that my urine had traces of kidney failure. Because the clinic would not proceed without payment, I shifted my investigation to a government hospital. And I was fortunate that I was diagnosed early without the usual running around departments in the hospital that some SLE patients face because SLE is known as the disease with many faces that is, its' symptoms are similar to many other conditions, so it's very difficult to pinpoint accurately. What do you think of being a Christian? I was wondering why Christians make such a fuss about regular pop music. Sure, the lyrics aren't exactly what you would call holy, but I find that if you close one ear it's not too bad. I certainly don't believe that all Christians should shut their ears totally to secular music and just listen to praise & worship or hymns alone. To me, that would be boring and I, for one refuse to do that. Of course, I don't listen to the really profane like heavy metal or (I don't know what they call it) music that has lyrics relating to satanic worship or the like. Have you ever been in a relationship that ended and you were left wondering what went wrong? Or have you found yourself experiencing one failed relationship after another and you just couldn’t figure out what the problem was? If you believe that relationships are anything like you see in the movies, all lovey-dovey and everything is perfect and romantic all the time, you need a serious reality check! There is a lot more to relationships that happiness and bliss and everything going your way all the time. Relationships are no easy matter, and both parties need to work at it in order for it to work out. Lots of couples have long and happy relationships, and there is no magic formula there, just plain hard work. They’ve had their tough times and differences too, but the difference is that they managed to work it out despite the odds and that is what made the relationship last. We have finally decided to let go of our love for fakes. But what do we do about those fakes being disguised as the real thing? I have a friend who bid for a Prada clutch on eBay just to find out upon arrival that it was actually a ‘replica’. Yes, they use word like ‘replica’ these days. Maybe to make it sounds less obvious. But not to worry because there are methods which can be used to spot the fakes. 1. The outrageously low prices. Like, hello?! You don’t get an original Fendi or D&G for 150 bucks for sure. The best thing to do is always check the price of the item from the official website of the brand. If the price offered to you is ridiculously low or lower than 30% of the original, it’s a surefire sign that you were about to add a counterfeit to your shopping cart. Peniaga bertanya, "Bagaimana cara pertama saya dapat membuka blog sendiri?" Blog dapat dihasilkan menggunakan Blogspot di blogger.com. Kunci bagi memasuki sistem blog ini adalah dengan mempunyai akaun Google. Melalui akaun Google juga, kita dapat mengakses kepada aplikasi-aplikasi lain yang dapat digunakan bersama blog yang dihasilkan. Akaun Google yang dimaksudkan menggunakan perkhidmatan emel yang disediakan dalam Gmail. 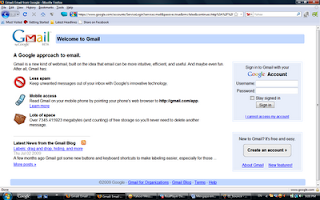 Gmail adalah kawalan kepada semua aplikasi yang ada. Kita andaikan ia sebagai kunci kepada pintu-pintu lain dalam Google. Tanpa kunci ini, kita dapat masuk ke dalam dan menggunakan apa-apa aplikasi yang disediakan Google secara efisien. Membuka Gmail bermaksud kita mempunyai Google Account sendiri. Akses kepada aplikasi lain sangat bergantung kepada Google Account yang kita wujudkan. Why Buying Fake Goods Is Bad? Fake, knock-off, imitation, counterfeit… whatever you want to call it. I am the kinda person who would rather tot around an inexpensive bag and shoes from the high-street brands than wear something fake. Regardless of the price, at least I know for sure that they are originals. It’s just sad to see how people would buy something that they call ‘high-quality fakes’ when they can get items from Guess, Aldo, Topshop, Promod etc for similar price. Does it feel good to have fake stuff on your body? And is there really such a thing as ‘high-quality fakes’? Do you have any idea where those fake Fendi, Gucci and LV came from? Reading has become a big issue in Malaysia. We even have a reading ambassador: Michelle Yeoh. The Star newspaper reports that she has been appointed ambassador for the Information, Communication and Culture Ministry’s “Come and Read 1Malaysia” campaign. Daphne Lee has commented on this issue with her own piece, Pretty faces aren’t enough. She says, amongst other things, that the libraries of Malaysia – be it in the schools or elsewhere – are not properly stocked and we should have teachers and librarians who are, themselves, enthusiastic readers. It is the last sentence in her piece that interests me: Instead, give us knowledge, passion, personal commitment and long-term action. With that in mind, I thought that in this piece, I share with you some of the knowledge I’ve collected about useful books for writers. Essential Guides for those who would like to write anything at all. 1. Usage and Abusage of the English Language; new edition edited by Janet Whitcut. The vast majority of women in Léré and rural Chad are bound by unspoken gender rules that limit the types of entrepreneurship women can engage in. 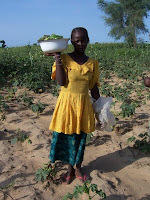 This generally means entrepreneurship for women in Chad is limited to serving food and drink. In streets near transportation centers and well-traveled roads throughout the country, women and girls hawk snacks including fried bean fritters, Chadian doughnuts or beignets, beans and rice, seasonal fruits, palm nuts, grilled chicken, grilled or fried fish, and packs of water.